True charm and genuine innovation mark the debut novel of Pushcart Prize-winning author, Cynthia Swanson. In Sliding Doors style, The Bookseller (Harper) tells the twinned stories of two women in the early 1960s. In 1962 Denver, 38-year-old Kitty Miller lives an austere life. By day she runs a bookshop with her best friend. By night the unmarried bookseller mostly hangs out with her cat and reads. In 1963 Denver, Katharyn Andersson is the wife of Lars, the man of her dreams. Their life is perfect and looks exactly like the life Kitty once dreamed of for herself. The catch? Katharyn’s life only exists in Kitty’s dreams. And Kitty has dreamed a beautiful, seductive place. The more time she spends there, the more the lines between fantasy and reality begin to fade. Swanson writes beautifully, compellingly and we want to stick with Kitty to find out where this all will end. Sadly, that ending doesn’t deliver the surprise one might have hoped, for this reader anyway. 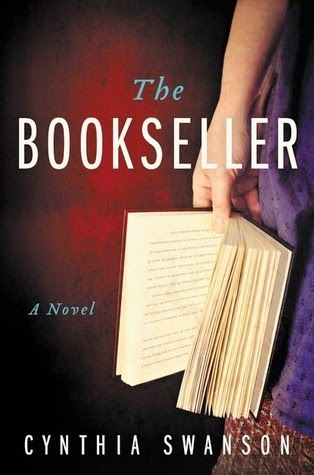 That doesn’t stop me from recommending The Bookseller, and highly. I anticipate that Swanson’s debut will be one of my reading highlights for 2015.